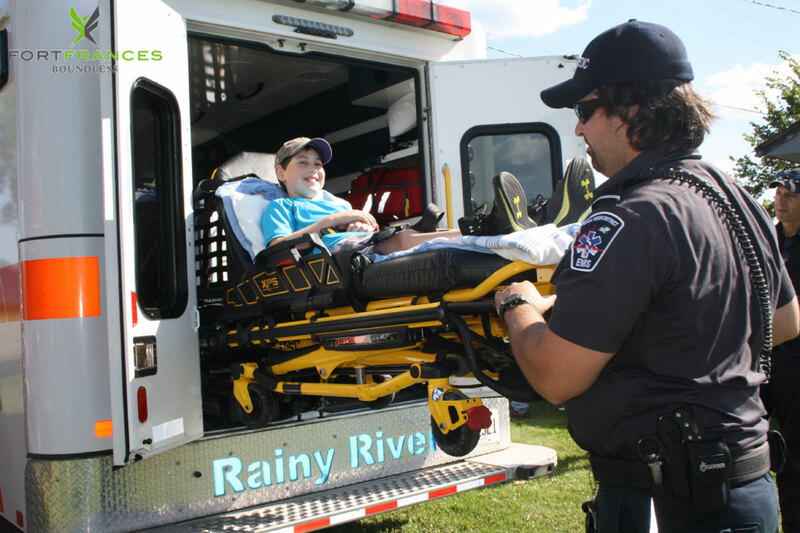 Rainy River District EMS currently has a fleet of twelve (12) vehicles distributed between four (4) stations in the District of Rainy River. Our four stations, Atikokan, Fort Frances, Emo and Rainy River are staffed twenty-four (24) hours per day, 365 days a year. The Fort Frances station also has a second dayshift paramedic crew, Monday to Friday, excepting statutory holidays. The district is served by ~50 Primary Care Paramedics (PCP), two EMS Supervisors, an EMS clerk and the Health Services Manager. The Rainy River District covers a geographic area of approximately 15,472 sq. kilometers and has a population of 21,564 (2006 Census). It is bordered on the north by the Kenora District on the east by the Thunder Bay District, the south by Minnesota, USA and on the west by the Province of Manitoba.